Introduce your child to the world of trains and building with the LEGO DUPLO My First Train Set. 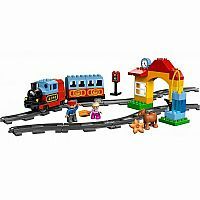 Create the colorful steam train with sound effects, a passenger wagon, station with ticket window, fueling pump and signal. 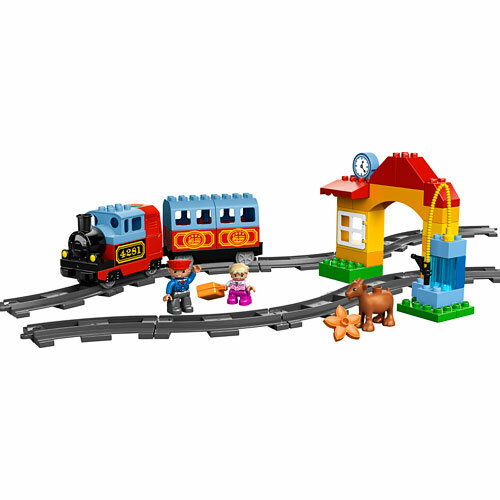 With lots of DUPLO bricks and more than 22 Inch of track, it's the perfect set for budding builders and hours of train-themed creative play. 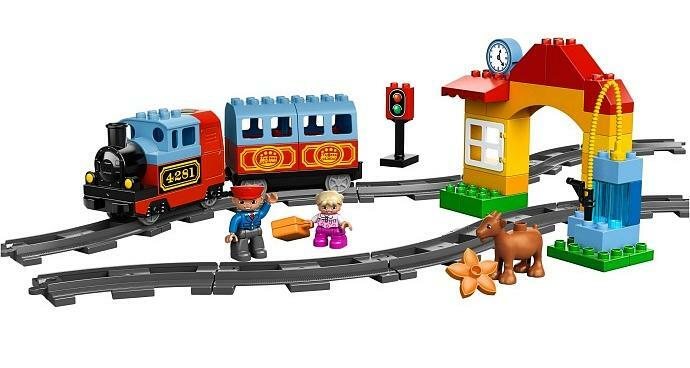 Includes train driver and child DUPLO figures.